From the Upright Citizens Brigade theater in New York City, Valiant Entertainment had a slew of announcements during their 2016 Valiant Summit! After a description of Valiant’s history they company revealed the “future of Valiant” which takes place in 2016 with seven new series. First up Jody Houser to discuss the Faith new ongoing series. The series spins out of the limited series which saw five reprintings for the first issue and received global recognition for the break through character. The series is the lead book in the initiative and that’s not a coincidence. The Valiant team feels the comic defines what the company and their line of comics is about, entertainment that you can’t get anywhere else. The first issue arrives in July! Faith resonates as a positive figure during a "morose" period in comics, represents readers who don't see themselves in comics. Fred Van Lente was up next to discuss an ongoing Generation Zero series beginning in August. 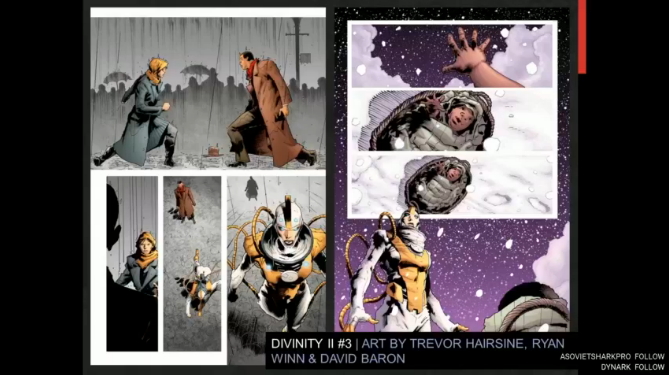 Francis Portella will provide art for the series. The team has been raised as weapons, so this series focuses on their figuring out what to do now they’re on their own. The series is a new one for Valiant as it’s a team book with teen characters, led by a teen girl of color. Writer Peter Milligan and artist Juan Jose Ryp tackle a brand new series and character in Britannia which is about “the worlds first detective.” He’s the first psychologist and detective in ancient times. The series will take place in a world that existed by with a supernatural spin. It comes out in September. In October, the “biggest, brashest” series, Bloodshot USA is by writer Jeff Lemire and artist Doug Braithwaite. They see it as a treatise on violence and why we’re so obsessed with violence as a culture. The story has Project Rising Spirit dispersing nanites on the street of New York City. It features Bloodshot teaming up with a team to stop the virus from spreading and stop Project Rising Spirit who are war profiteers. It’s a stand alone event similar to last year’s The Valiant where new readers can jump in and not need to know what has come before. 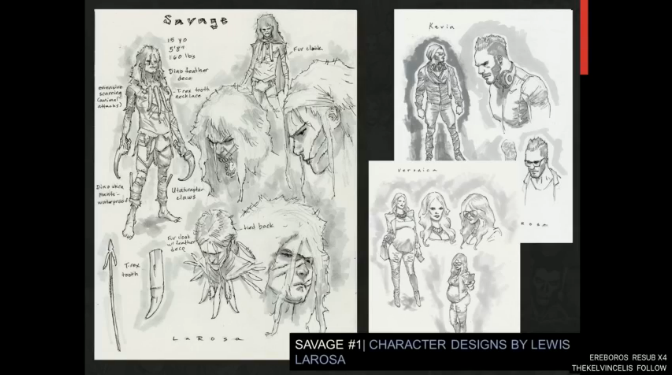 B. Clay Moore and Clayton Henry and Lewis Larosa bring a new character Savage to the Valiant Universe in November. The series starts 15 years ago as a Football player and his model wife’s airplane crashes. Now, it’s the present, and is this character their child? The series sounds like a new spin on Tarzan. The series is about a teenager living on his own on an island. Harbinger Renegades was announced, written by Rafer Roberts with art by Darick Robertson. It’s two years after the end of the previous series. Chris, who was sent to jail, is out and trying to put her past behind her. Peter is off to who knows where and is trying to get his mind right after the last conflict. Torque is part of the establishment and on a reality tv show. Faith is doing her thing. They come back together realizing the world is in a worse place due to their actions and now they’re trying to right things and help people. The series will feature the four main characters from the previous team, but also a new member, Jay, who they didn’t say much about. “Mind” was mentioned as a villain they will face. They described the main character Pete Stanchek as “Jack Kirby’s Trainspotting.” Harbinger Renegades is out in November. The Future of Valiant begins in July.